Find and book Orlando, Disney World, Theme Parks cheap bus tickets online and compare bus operators, prices, and bus schedules to find the best deal for your bus travel needs. Find bus services from New York to Orlando, Miami to Orlando, Fort Lauderdale to Orlando and Orlando to Hollywood, FL, Orlando to Tampa, and Jacksonville. 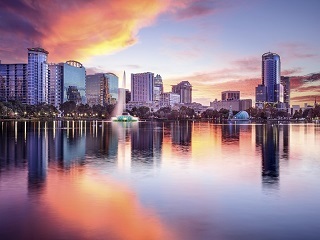 Enjoy a bus trip to the most popular cities and destinations Orlando, Florida with our top selling partners in the USA including the most popular Chinatown bus Coach Run, PowerCoachLine, Javax, Star Line Express, Atlanta Tours and more.